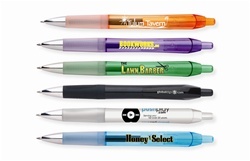 Custom Intensity® Clic™ BIC® Gel Ballpoint is designed with automatic retracing clip mechanism. Promotional Gel Ballpoint comes with click-action mechanism. 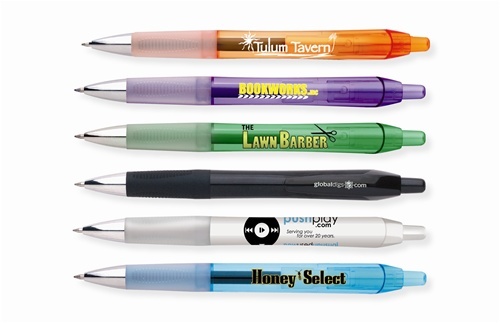 Custom Intensity® Clic™ BIC® Gel Ballpoint is available in 7 colors: Clear Blue, Clear Green, Clear Orange, Clear Purple, Clear Red, Solid Black, and Solid White.